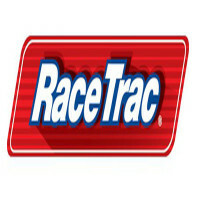 RaceTrac is an American company that operates a series of gasoline convenience stores and gasoline service stations. They offer more than 4,000 items for sale and free wi-fi internet for their employees and customers. In 1934, Carl Bolch Sr. founded this company in St. Louis, Missouri. After introducing self-service gasoline stations in Florida, Georgia, and Alabama, the company started to use RaceTrac as its brand. It operates over 650 gasoline retail stores in 12 states in the U.S. This firm has more than 8,000 employees. Also, it is the third largest private company in Georgia. Regarding their Employee benefits, the company offers many advantages for its staff. They have enhanced people-oriented programs to bolster engagement and loyalty among its labor force. The program offers benefits such as various leaves, compensations, discounts, and staffing restructure. Many people love and enjoy working in this company. Team leaders can also restructure schedules depending on the employee’s location. Also, both part time and full time can receive insurance and benefits. How old do you have to be to work at RaceTrac? The company hires full-timers, interns, and part-timers. But applicants need to be at least 18 years old to work here. Remember that they don’t accept minors. The company manages hundreds of convenience stores and gas stations across the Southeastern United States. Applicants can find a variety of abundant job openings on both low level and entry-level positions here. Their gas stations need workers to serve clients. They have over 600 retail stores that need staff and pump and maintenance attendants. Their company offices are also seeking customer service representatives and people who can fill up corporate positions. Store Associate: Store associates perform the roles of cashiers, food service staffs, and stock clerks. Handling cash, replenishing cooler and shelf items, and preparing food products are the daily duties of workers. This job also requires people to mop and sweep floors, tidy up parking areas, and clean restrooms. Also, associates have to respond to customer requests. Shift Manager: This job requires an individual to create labor schedules, supervise product inventories, and train workers. They also develop candidates for managerial jobs. Stock, register, and maintenance responsibilities sometimes fall under shift managers as well. In general, a shift manager is like a subordinate or an assistant to the store manager. Implementation Specialist: Implementation specialists are responsible for the installation and configuration of Point of Sale. They support the maintenance and implementation of POS software, hardware, and systems for the company. Also, implementations specialist are often traveling. They go from one RaceTrac station to another to check up and configure the retail systems of each. Warehouse Associate: Distribution center associates support the daily activities in the warehouse. They work to ensure orders are shipped to the specified location promptly. Their duties include picking products for orders, cleaning warehouse equipment, and labeling toutes. Warehouse associates also sort trays and totes, dispose garbages, and bale cardboards. Fuel Transport Truck Driver: Truck drivers are required to be cautious and responsible. They need to be able to drive trucks properly and deliver their cargo right on time. Their responsibilities include documenting and observing meter reports and ensuring the safety of their vehicle and cargo. Material Handler: Material handlers maintain distribution and production of products. They mostly deliver production materials, stage finished products, and pull orders from inventory. At times, they are also required to locate supplies and materials and maintain in-process inventory. Furthermore, Material handlers also receive credit-return supplies and materials, verify product codes, and prepare finished stock for shipment. Paid Media Specialists: Team players at RaceTrac manage paid search client accounts. Their responsibilities include optimization, bidding, and responding to client requests and inquiries. They also adjust and monitor budgets, roll out new promotions, and develop client paid search accounts. Sometimes, they are also responsible for researching, documenting, and implementing latest industry trends. Paid media specialists often work alongside the Analytics and SEO team. Internal Audit Staff: The internal audit staff executes risk-based internal audits promptly. They are required to follow the annual audit plan when they are internal auditing. This job also requires an individual to assist in special projects and in other audit matters. Overnight Associate: Overnight workers are responsible for the daily maintenance activities of the retail store and for balancing inventory and cash transactions. They are required to greet customers, manage the cash register, and keep foods ready-to-eat and stocked. Workers also brew coffee, answer customer queries, and fulfill client requests. They are also responsible for maintaining the overall cleanliness of the store and its parking area. Sales Associate: Sales associates provide courteous, efficient, and prompt guest services. They are required to follow company procedures and policies. Guest Service Associates assist in maintaining a customer-friendly and clean environment for RaceTrac’s customers. They need to provide excellent food service while providing a friendly atmosphere. RaceTrac requires applicants to apply online. Candidates have to create a free account to access the employment options offered by this company. The procedure can take up to nearly an hour. Any job seeker must fill up and submit all requirements. This includes providing all the required personal information and answering background questions. Depending on the store manager, candidates that submit in-store applications are sometimes considered. Since the company prefers online applicants, it is recommended to answer the provided questionnaire truthfully. Also, the job seeker must prove that he is flexible, obedient, and friendly. In addition, the applicant’s resume must be factual and customized for his or her desired position. Furthermore, he or she must highlight work experiences that have high-traffic and hectic working conditions. When employment hopefuls are called for interviews, they must show their enthusiasm for the job. They must listen attentively and always smile. They must be confident with their answers to questions. RaceTrac values customer-friendliness the most, so their answers must be inclined to that concept. This company wants their customers to be valued like family. They want their clients to feel at home when they visit their stores. They always put people first; it is their passion and culture. Because of their excellent customer-service, this brand has been featured on popular websites like cspdailynews.com. When it comes to this company’s note-worthy events, there are lots of them. The revised and enhanced team benefits are one such example. RaceTrac is known for its excellent customer service and people-focused benefits. The company emphasized teamwork greatly, and they offer scholarships for promising associates. This provides opportunities to individuals who want to earn while taking college classes. Lastly, the company supports several community-based programs. They have been in partnership with camp sunshine since 2010. They also support the Michael J. Fox Foundation as a part of their Gives Back drive. 1 How old do you have to be to work at RaceTrac?